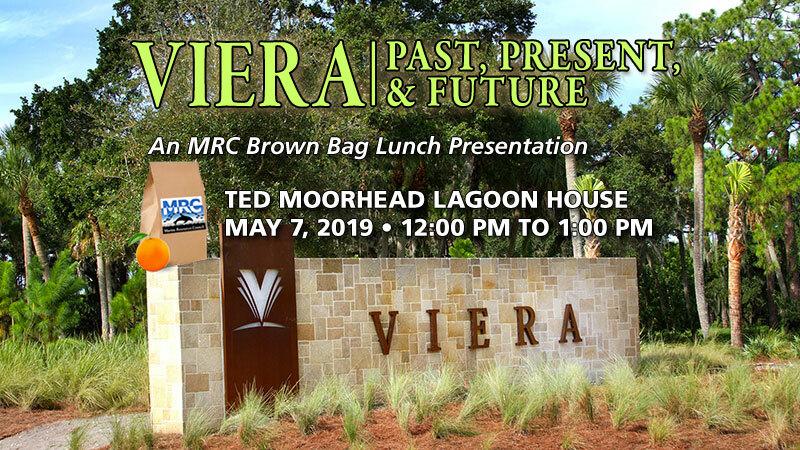 Join us for our May Brown Bag presentation with Todd Pokrywa, President of The Viera Company, for a look at the history of Viera and plans for the future. Take a look at Viera’s history from the 1940s, when it was agricultural land known as the Cocoa Ranch, to today’s master planned development of neighborhoods, commercial projects, and infrastructure. See Viera’s plans for the future as it grows beyond its current boundaries, all while incorporating environmental stewardship practices. Todd Pokrywa became President of The Viera Company on September 1, 2018. He joined The Viera Company on October 1, 2014 as Senior Vice President of Land Use Planning and Development. The Viera Company, a wholly-owned subsidiary of A. Duda & Sons, Inc., manages commercial and residential development of the company’s non-agricultural property and is the master developer of the master-planned community of Viera in Brevard County, Florida. The company’s integrated real estate operations include Viera Builders, Viera Commercial Properties, and the Duran Golf Club in Viera. Todd is responsible for overseeing the planning, development, marketing and sale of land owned and managed by The Viera Company, primarily the ongoing expansion of the master-planned community of Viera in Brevard County. Prior to joining TVC, Todd served as vice president of strategic affairs for Schroeder-Manatee Ranch, Inc. (SMR), a land management and agribusiness company and developer of Lakewood Ranch, a master-planned community in Manatee and Sarasota counties, Florida. Todd is actively involved in the community and the real estate development industry at the local, state, and national levels. Todd graduated with honors from the University of Waterloo, Canada, where he earned a bachelor’s degree in Urban and Regional Planning. His Senior Honours Essay was “New Towns as an Alternative to Urban Sprawl Development: Viera, Fl Case Study.” He earned a master’s degree in Administration with a specialization in Organizational Leadership from the University of South Dakota. Originally from Toronto, Canada, Todd relocated to Florida in 1995. He is an avid ice hockey enthusiast. He and his wife, Cyndi, live in Brevard County, Florida.